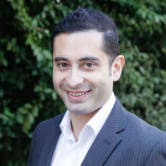 , a spokesperson said the review aimed to "drive consistency in media rates and ways of working". This would suggest some degree of consolidation of media buying and planning is likely, but AB InBev has denied it has a specific number in mind and all agency holding groups have been invited to pitch. It is unclear at this stage how much regional influence will weigh on the final outcome. Media Link is handling the pitch process. 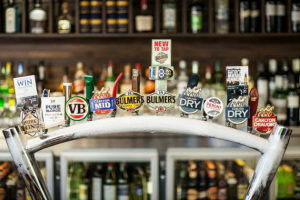 Anheuser-Busch InBev, the parent company of Carlton United Breweries (CUB), has launched a global media review of planning and buying across 50 markets, including Australia, AdNews understands. The review comes months after AB InBev's protracted US$103 billion acquisition of rival SAB Miller, which combined the two largest brewers in the world. It was widely anticipated that once the ink dried on the deal a review of suppliers would follow. AB InBev has a track record of running a lean operation and reviewing supplier arrangements of the companies it acquires. The review places MediaCom, CUB's media agency for more than 20 years, on notice only months after it had extended its relationship with the client. MediaCom also have the business in the US. In Europe, Vizeum handles media for AB InBev and MEC has the SAB Miller account. In a statement to Ad Age, a spokesperson said the review aimed to "drive consistency in media rates and ways of working".